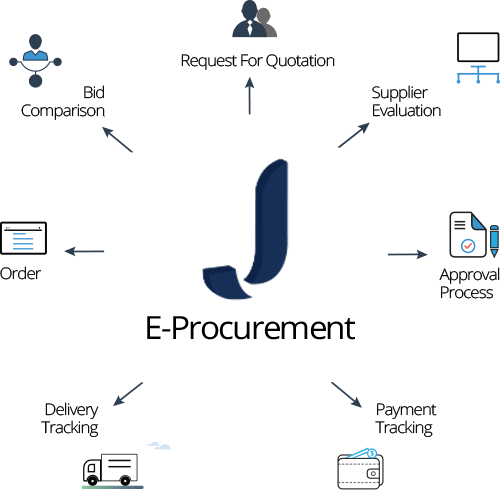 JETRACT is a cloud-based procurement software. It offers E-Procurement solutions such as electronic auction, request making, bid collection, approval process and delivery tracking. It develops software for you to conduct strategic procurement. In addition to cost and time saving, our solutions increase reportability and transparency. 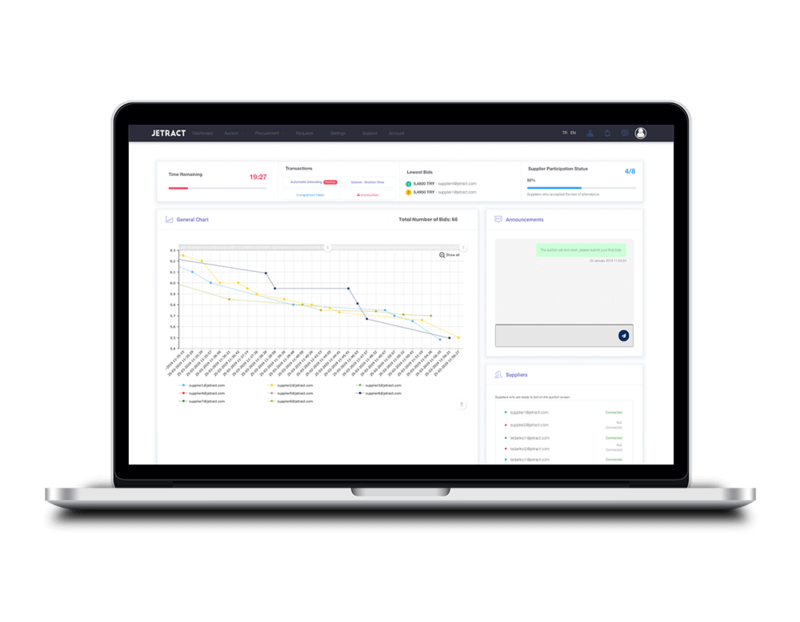 Bring your suppliers together on an electronic platform, benefit from the competitive environment and make efficient auctions. Increase your saving rates through different auctions that are tailored to your needs. Transfer your procurement process to the electronic environment. Manage the phases of bid collection, supplier evaluation, bid comparison, approval process, order, payment and delivery tracking through a single platform. Examine and report the project and department-based purchases. Add your peripheral units, departments, project or field teams to the system, make purchasing requests easier for your central procurement teams to process and manage. Examine and report the project and department-based purchase requests. As our product develops with the feedback of purchasing managers, we gain momentum with every new customer. 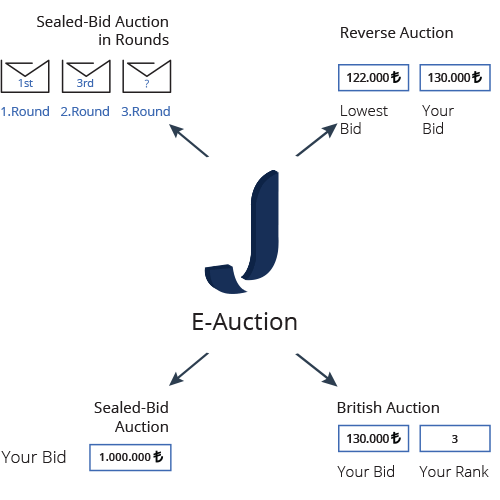 We have used the e-auction platform of JETRACT intensively. Auctions that took more than half a day started to get finalized in an hour or so. We achieved a productive process instead of an ineffective one.